This Kerala package is best for the couples who want to escape to the land of love. Munnar is a land of Misty Mountains and spectacular tea plantations. The best hill station of Kerala. 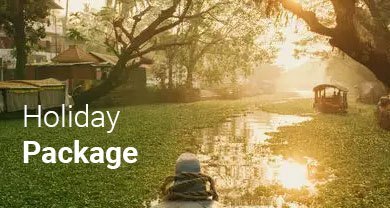 And Thekkady the land of rain forest, wildlife’s and spices, also this Kerala package takes you through the backwaters of Kerala in Kerala houseboat. After check out from the houseboat and proceed to Kovalam. After check in to hotel take some rest. In the evening spent some times at the Kovalam Beach.